Two days ahead of the opening ceremony of the Breakbulk Europe Exhibition in Bremen the Priority Cargo Network members spent time to gather in their 7th membership conference. 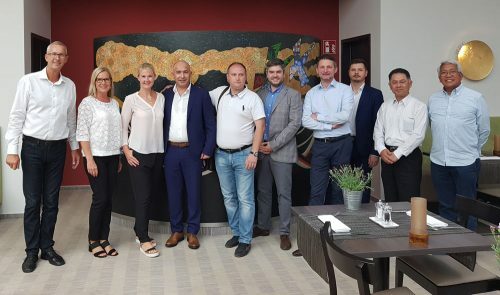 Accompanied by members from Cargo Equipment Experts (CEE) network company presentations and network marketing strategy was discussed and face-to-face meetings took place. It was agreed to hold the next years membership conference for the both networks in Bremen in May 2019, ahead of the Breakbulk Europe Exhibition that year.